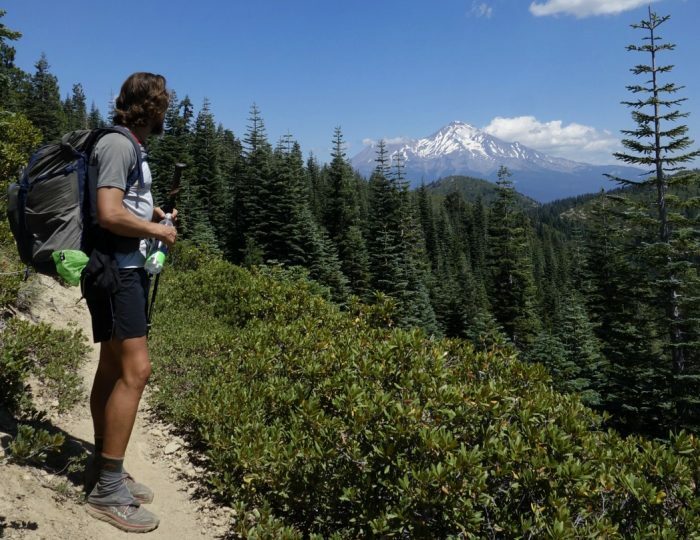 We packed, hefted, and hiked with the Granite Gear Crown2 for a five-month test along the Pacific Crest Trail. Have you ever looked at the mountain of backpacks in a store and wondered if there was one that could cover all bases? A do-all pack that could essentially transform from a weekend heavy-hauler to a lightweight bag for a long thru-hike… well, alas, that backpack does exist. Disclaimer: My initiative, “Packing It Out,” is sponsored by Granite Gear; the brand is one of a few companies that help support our trip costs, and we are also provided gear to test. However, I used Granite Gear products long before I began working with the brand. That said, I do my best to remain objective and I’ll only advocate for products that I’ve personally put through the wringer. New for 2017, Granite Gear offers the Crown2 ($200) as a solution for the weekend warrior, the compulsive organizer, and the dedicated thru-hiker. Granite Gear pulled inspiration from the Crown VC60 for this model. 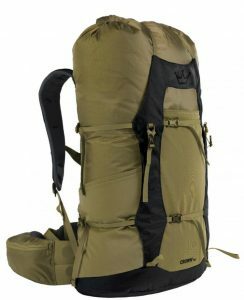 The Crown2 remains a top-loader pack with three spacious external mesh storage pockets surrounding the pack. With a 60-liter capacity and a base weight of 2 lbs. 3 oz., the Crown2 improves upon the original VC60 with new features and updates. The most notable upgrade is the addition of lid and hip-belt pockets with water-resistant zippers. It is compatible with hydration bladders. Other additions and changes include an improved pack frame, uniform 10mm cinch straps, and a hip-belt adjustment system. The Crown2 does not use Cordura fabric, a noteworthy change for the brand. This allows Granite Gear to add functionality to the Crown2 while keeping the weight in the two-pound sweet spot. The Crown2 is made from 210 denier, high-tenacity nylon that seems plenty durable. Did it work? After testing this pack, I say yes. At this point, you may have some mixed feelings. You’re stoked about the new additions. But some might be concerned about the lack of the Cordura-brand fabric, which is known for its durability. Rest assured, I have personally thrashed and bashed this pack over transcontinental trails and other long distance hikes. My Crown2 is still in great shape. The lighter fabric may sacrifice some long-term durability. 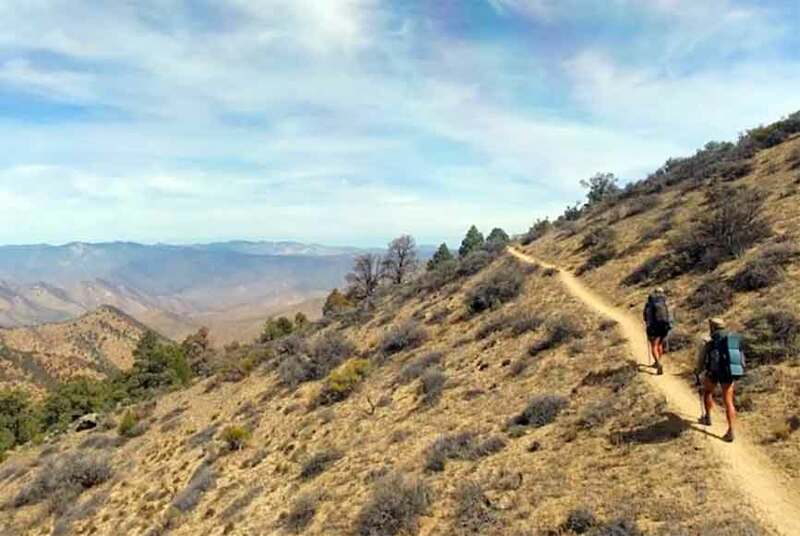 But here’s one way to look at it: My Crown2 only cost 10 cents per mile hiked ($200/2,000 miles), and the updates result in a more comfortable and functional experience. And the pack is still going strong, despite the miles. I mentioned nicknaming this pack the “Trail Transformer.” Let me explain. Granite Gear designed the Crown2 as an adaptable backpack. 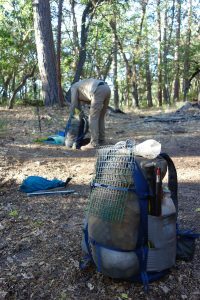 While hiking and cleaning up trash through Kings Canyon National Park during a 2016 thru-hike, my hiking partner and I had eight days (two pounds per day) worth of food, in addition to ice axes, micro-spikes, and the required bear canisters. 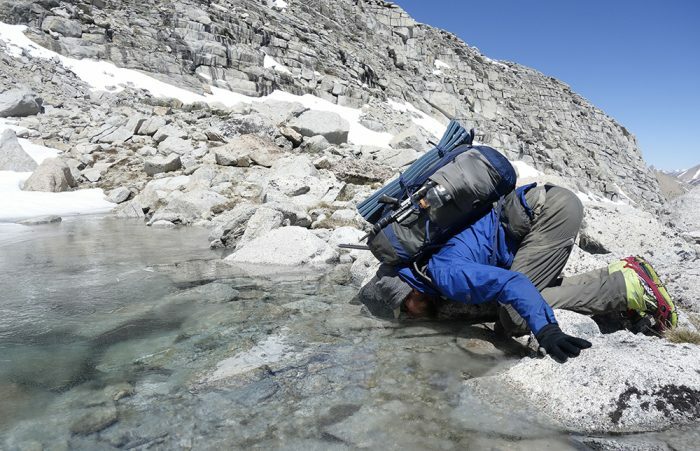 On the flip-side, when hiking the Pacific Crest Trail, once we made it out of the High Sierra we no longer needed to carry heavier mountain loads. This is where the pack earned its nickname. The Crown2 is designed to be stripped down to the bare essentials at will. We removed the polypropylene frame sheet and took off the lid. We even trimmed the cinch straps, an irreversible modification to save grams. The result was a sub-two-pound pack that could go light and fast. I was tempted to remove the hip belt, but the hip belt pockets added a level of accessibility that I wasn’t ready to part with. At just over two pounds, the Crown2 can comfortably haul 35 pounds or more. It does this with its innovative hip belt, improved back panel, and thoughtfully placed 10mm load cinching straps. The combination gives users a pack that fits well and stays comfortable all day. The hip belt lets you quickly adjust the dimensions before tightening the front straps. 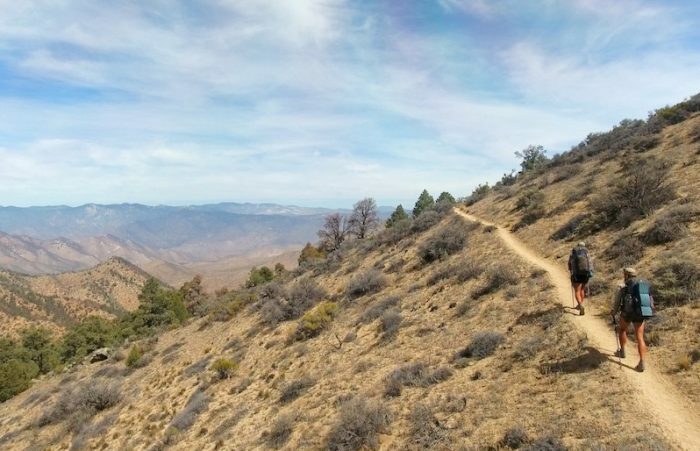 This is the answer for those long-distance hikers whose spare tire fades away with the miles. The back panel is more breathable than the Crown VC’s, which was already good. The change from cord to 10mm pack straps improves the aesthetic and provides secure compression. The Crown2 packs we used during our 2016 thru-hike were test models, in case you wonder why you can’t find the colorway pictured. Consider a Crown2 with the knowledge that we tested it for more than 2,000 miles before its release. Granite Gear included our feedback in the final version. It’ll keep you going wherever you need to go. Buy one now for $200 at REI.com.